The two bikes were intended to serve as gateway to the brand BMW, bringing in newer, more budget-conscious riders across the globe. In India, the G 310 R costs Rs 2.99 lakh while the G 310 GS is priced at Rs 3.49 lakh (both ex-showroom, Delhi). Even in the Indian market, the bikes exceeded sales expectations, retailing 1640 units in six months. The BMW G 310 R and the G 310 GS were conceived as the gateway motorcycles to the Bavarian brand. And it seems to be working quite well as BMW Motorrad India revealed (during the R 1250 GS launch in India) that the G 310 siblings clocked a sales of over 24,400 units globally. The German marque also stated that the two bikes are a part of the top five best-selling BMW bikes globally. Though the R&D for the G 310 twins was done in Germany, BMW Motorrad actually teamed up with TVS to make these bikes more cost effective, similar to KTM using Bajaj’s manufacturing infrastructure. So, if you look at the international market, the BMW G 310 R, for example, is cheaper than KTM 390 Duke. 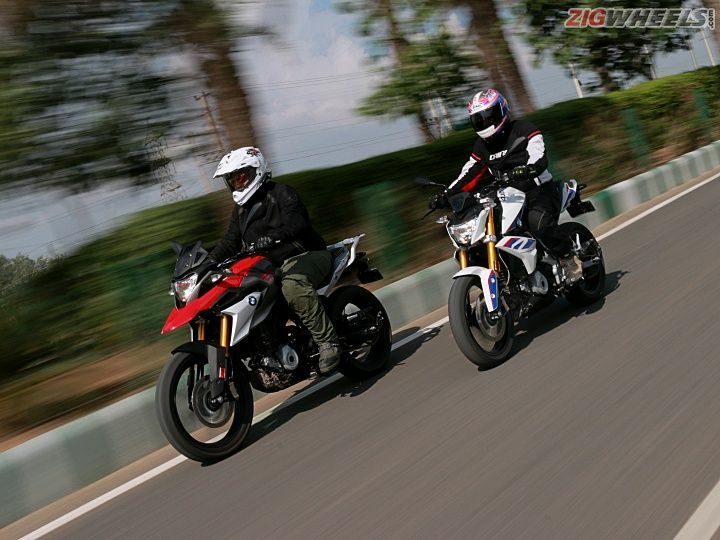 Moreover, the BMWs are easy going when compared to the manic KTMs and thus more friendly for newer riders. These factors are likely to have contributed to the sales numbers. On the other hand, the G 310 GS is the only viable option for an entry-level ADV overseas, as Royal Enfield doesn’t have as much reach as BMW. Also, the Kawasaki Versys-X 300, another potential rival, doesn’t live up to the needs of an entry-level adventure rider. Considering these factors, it isn’t too surprising that the G 310 twins have raked in the most sales numbers from BMW Motorrad. However, things are completely different in India. The KTMs boast of an extremely competitive pricing, whereas the G 310 twins are sold at quite a premium in our market. This is down to the fact that BMW wanted to position itself as an exclusive brand in the country. Moreover, its dealership count is sparse and can handle only a limited amount of motorcycles. To give you a better understanding of how the G 310 twins are priced abroad compared to its rivals, here’s our analysis. Also Read: BMW G 310 R vs 2019 Kawasaki Ninja 300 - Same Price, Different Deals! The G 310 R and the G 310 GS share the same 313cc single-cylinder, liquid-cooled motor which produces 34PS and 28Nm. The G 310 R competes with the KTM 390 Duke, Benelli TNT 300 and will take on the Honda CB300R once the Japanese naked goes on sale on 8 February. On the other hand, the BMW G 310 GS locks horns with the Royal Enfield Himalayan and Kawasaki Versys-X 300 in the Indian market.